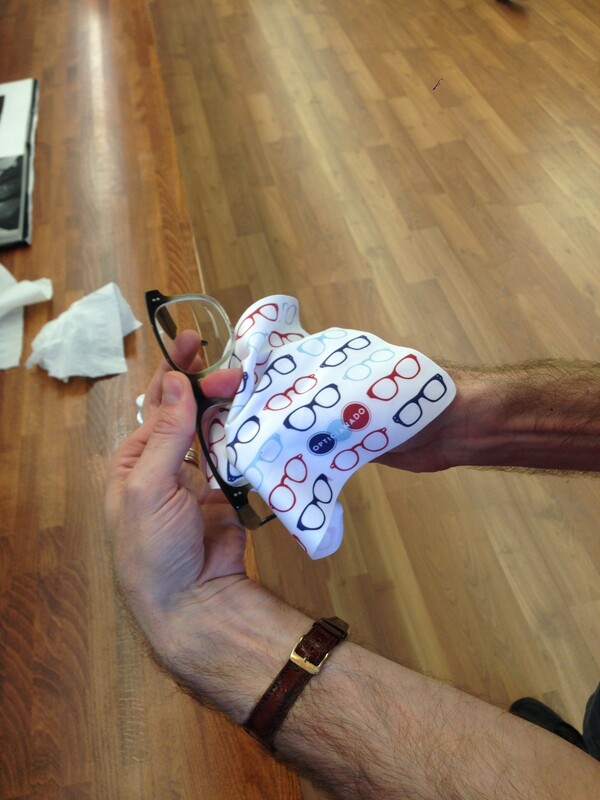 You’ll often see people cleaning their glasses in a multitude of ways — with their t-shirt, with paper towel, etc. — but very few people know that these materials can often scratch or damage your lenses. That’s the last thing you need when your goal is to see clearly. 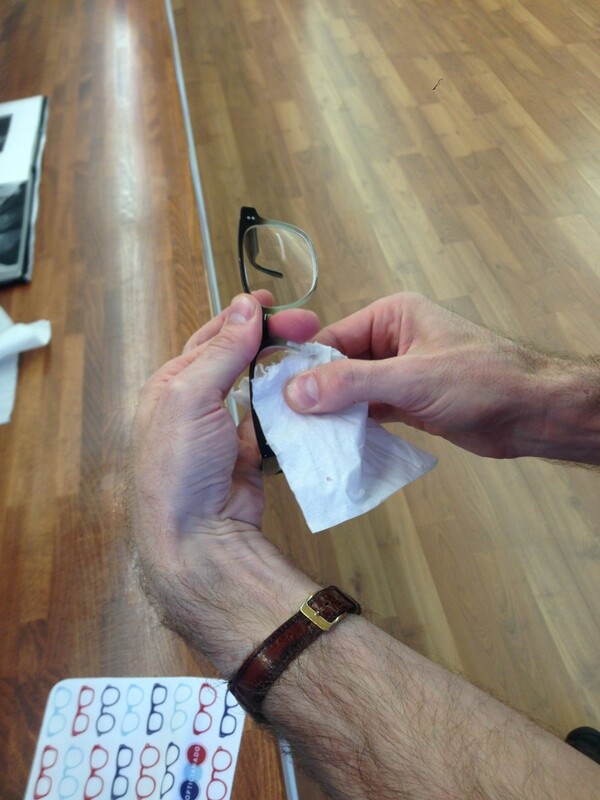 See below for a handy three-step process to ensure clean and scratch-free frames. Using a lens cleaner spray (or light detergent/soap), apply a liberal amount to both sides of lenses and spread solution with thumb and forefinger. Using a Kleenex (not paper towl! ), dry the lenses of all liquid in a gentle circular motion with thumb and forefinger. 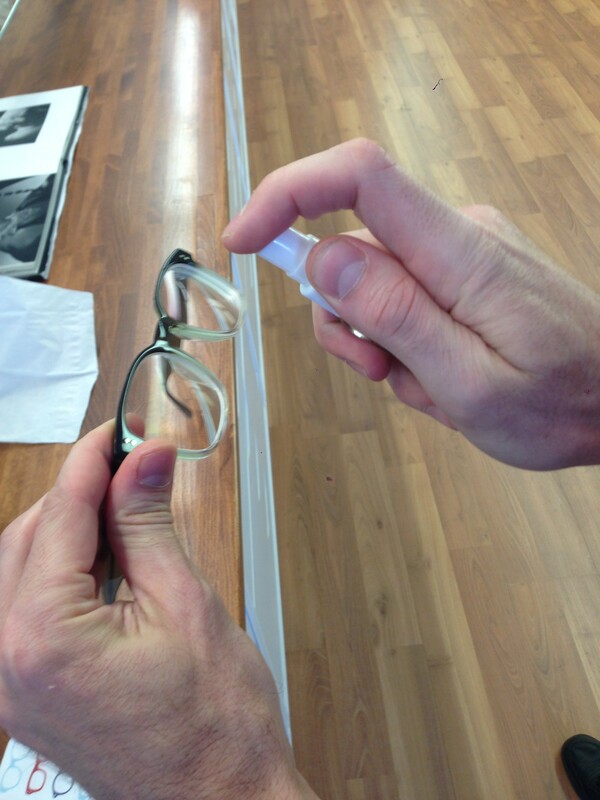 Using a soft cloth — often found alongside your glasses in the case (and sold at Opticianado) — gently buff the lenses using the same circular motion between the thumb and forefinger. SEE CLEARLY AND REPEAT AS NECESSARY!